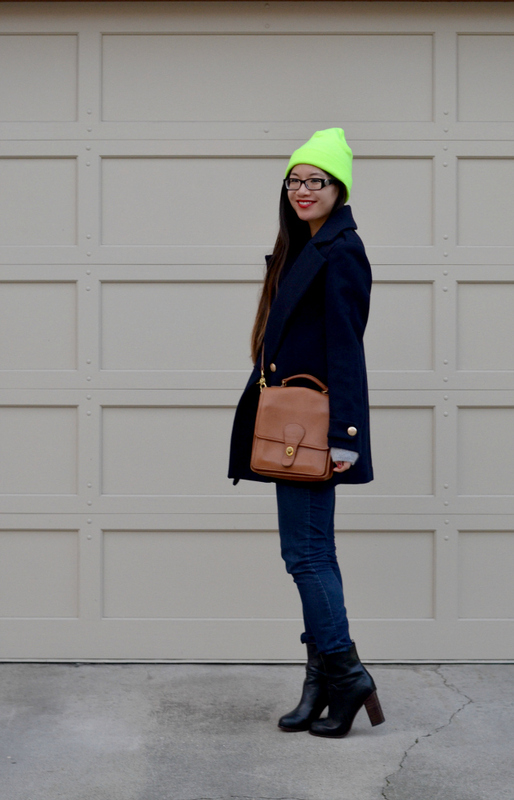 Unlike yesterday's layered look, this time I opted for a less methodical approach. 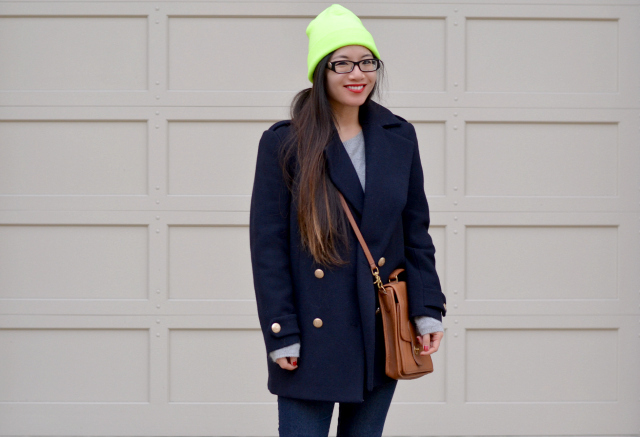 My staples (beanie and boots) remain but, a good, oversized coat really changes the mood. I purchased this H&M coat on sale last season and really only wore it a handful of times before it was thrust towards the back of the closet. I still adore it though. The navy color, bold, gold buttons and oversized fit really appeal to me. 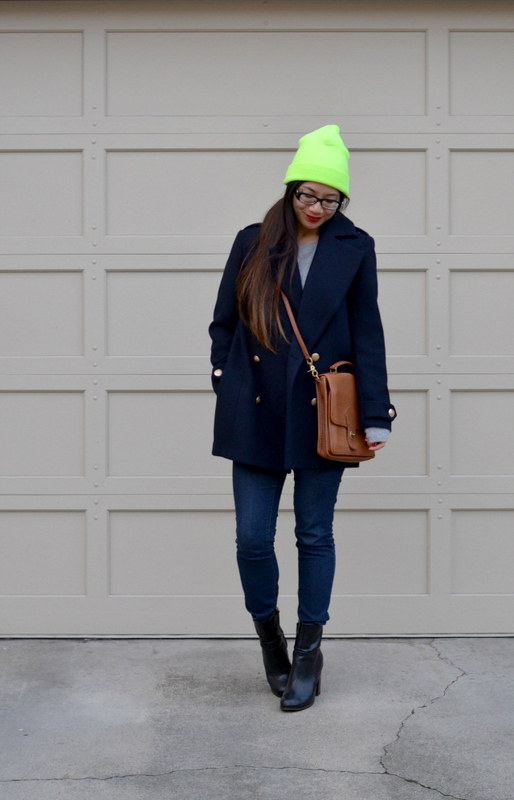 And on chilly, rainy days, the coat is even more adored. Loving the jacket and those shoes! Very chic! I actually thrifted a wool coat that looks just like this. I've been looking online for the perfect gold buttons like yours to replace the ugly plastic buttons on mine. love that beanie! u look so beautiful! xO! 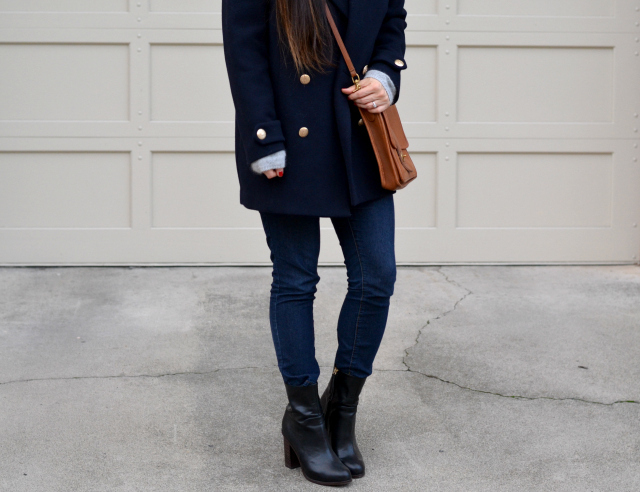 It's a classic coat and I love the gold buttons. your coat is making me feel all warm! i do love the big gold buttons! goes great with the color navy! Your coat is so cute, and I LOVE the color of your hat!